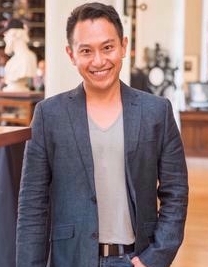 An all-around conductor and educator, Aik Khai Pung is music director of the CCM Concert Orchestra, Café MoMus (a contemporary music ensemble), and Seven Hills Sinfonietta. Prior his engagement at CCM, Pung has taught at Earlham College in Indiana, Akademie der Chinesische Bunte Blätter in Munich and Peking University in Beijing. He has served as music director of NANOWorks Opera, head instructor of the Orchestral, Choir and Opera Conducting Workshop in Malaysia, and was a clinician for Montclair State University John J. Cali School of Music Orchestra Festival in New Jersey. On top of his passion for teaching, Pung is actively involved in music festivals around the world such as Lincoln Center Festival (New York), Spoleto Festival USA (Charleston, SC), CCM Spoleto (Spoleto, Italy), Opera Theatre and Music Festival of Lucca (Lucca, Itally), Georgetown Festival (Penang, Malaysia) and Luminato Festival (Toronto, Canada) where he conducts and assists opera productions as well as symphonic concerts. As a multi-instrumentalist, Pung plays the piano, violin, Er-hu (Chinese traditional fiddle), Chinese dulcimer and viola da gamba. On top of instrumental music, he is equally involved with vocal music. He programs and performs new operas as the music director of NANOWorks Opera. Other than music from the Classical and Romantic eras, Pung has conducted his research on music of Guo Wenjing, Toshio Hosokawa, Nico Muhly, John Adams, Philip Glass and young composers such as Jennifer Jolley, Danny Clay, Eric Knechtges, Li ShaoSheng and Marie Incontrera, among others. A Doctor of Music in Orchestral Conducting, Pung studied under Mark Gibson, Annunziata Tomaro, Xu Xin, Zhang Yi and Ulrich Nicolai. He has also worked with Gustav Meier and JoAnn Falletta. Pung won second prize in the Taiwan Chinese Orchestra (TCO) international Conducting Competition (2015) and was the Special Award winner for Conducting Chinese Music at the First Hong Kong International Conducting Competition (2011). He was the first international conducting student to be accepted to the prestigious Central Conservatory of Music, the top conservatory in China, where he was awarded outstanding student in year 2005. Bachelor of Arts, Central Conservatory of Music, Beijing. Master of Music, University of Cincinnati College-Conservatory of Music, Cincinnati, Ohio. Doctor of Musical Arts, University of Cincinnati College-Conservatory of Music, Cincinnati, Ohio.